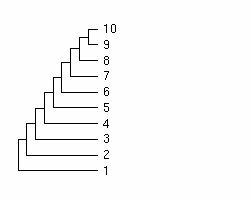 Title:Analyses of Phylogenetic Treeshape Description:apTreeshape is mainly dedicated to simulation and analysis of phylogenetic tree topologies using statistical indices. It is a companion library of the 'ape' package. 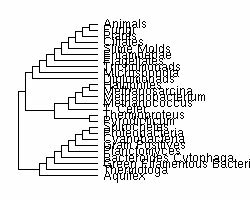 It provides additional functions for reading, plotting, manipulating phylogenetic trees. 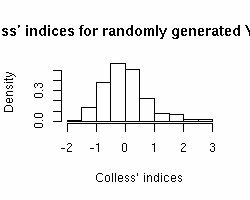 It also offers convenient web-access to public databases, and enables testing null models of macroevolution using corrected test statistics. 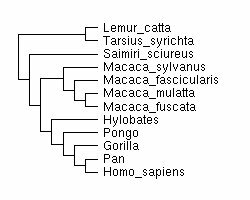 Trees of class "phylo" (from 'ape' package) can be converted easily. 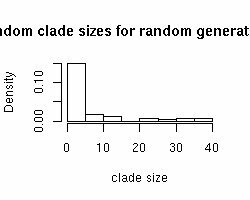 Last ouput from cladesize(). For all plots see PDF file. Last ouput from colless(). For all plots see PDF file. Last ouput from cytochromc(). For all plots see PDF file. 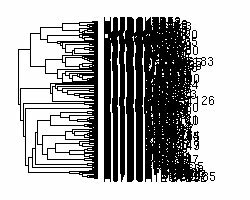 Last ouput from hivtree.treeshape(). For all plots see PDF file. Last ouput from primates(). For all plots see PDF file. Last ouput from rtreeshape(). For all plots see PDF file. 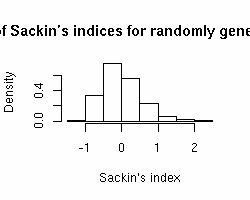 Last ouput from sackin(). For all plots see PDF file. 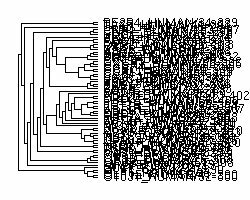 Last ouput from universal.treeshape(). For all plots see PDF file.